With 2.23 billion monthly active users, Facebook is undoubtedly a marketing goldmine. However, with all the changes it has undergone lately, businesses and marketers are finding it increasingly difficult to gain a foothold there. Among these changes, the News Feed updates seem to have the biggest impact on businesses. Facebook is now limiting branded content in favor of content that encourages meaningful people-to-people interactions, such as posts from family members and friends. As such, many brands can expect to see a dip in their organic traffic. While they may make things more challenging and complicated, Facebook’s recent algorithm changes are by no means the end of the line for businesses. Due to its enormous user base, the social media network is still worth the additional effort that is now required to achieve high organic reach. All you need to do to overcome the algorithm updates is to make some adjustments to your content marketing strategy. 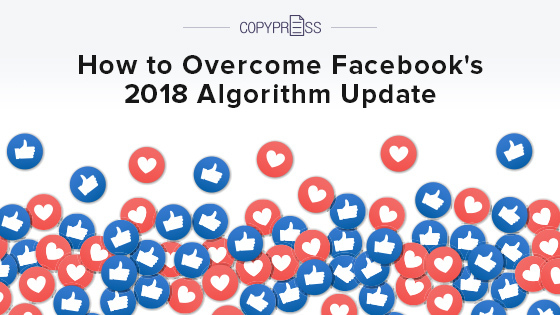 Use these tactics to overcome Facebook’s 2018 algorithm update. If you have not yet jumped onto the video bandwagon, you’re missing out on a lot. Sharing videos is an effective way to boost engagement and user interaction. Businesses of all sizes can leverage this great medium to achieve marketing success on Facebook. You don’t need to invest in big-budget commercial videos. With some creativity, you can create short, low-cost videos that can hold your viewers’ attention and spark conversations. In addition, consider using Facebook Live to create real-time videos for your followers. These videos produce notifications to alert your followers, which is an added bonus for making your videos stand out. Another easy and inexpensive way to create video content is to use Facebook’s Boomerang app. This app enables you to make loop-style videos in just a matter of seconds. 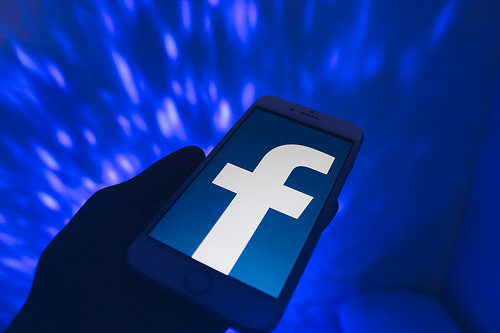 As a result of the algorithm update, Facebook is now punishing businesses and marketers that post content that’s deemed to be engagement bait. Posts that overtly ask for likes, tags, or comments were common in the past, but the social media platform may now regard them as spam. You should strive to start discussions with your customers in a creative and tactful way. Create a poll and let your followers lead the discussion, and tack questions to your posts to encourage comments without begging for them. Whenever appropriate, you can post content that’s worth debating, such as controversial content. However, you need to tread lightly so you won’t offend or alienate your audience. If you’re able to get people talking, there’s a higher chance that Facebook will feature your content organically. Since you need to post frequently on Facebook, it’s understandable that you may run out of original content to promote. Instead of posting the same content pieces over and over again, you should find ways to make all your posts unique. Start by creating unique descriptions for your posts so you can reintroduce them to your audience without repeating yourself. For example, if you had used a quote on a post the first time around, you can replace it with a question or tag. Another way you can reintroduce old pieces to your feed without being repetitive is repurposing them. There are many Facebook tools that you can use to transform your content into something completely new. For instance, Adobe Spark or Canva enables you to turn a quote into a custom graphic, and Animoto or Lumen5 can be used to create a video from a blog post. Also, consider using a social scheduling tool to keep track of the different types of content you have posted on Facebook so you’ll know whether you’re repeating yourself. Many businesses that are experiencing declining organic reach are gravitating toward Facebook Groups. This is a great way to generate quality leads because users essentially opt in to groups and commit to the discussions that are held within the groups. Therefore, those who join your group are more likely to engage with your content. If you’re focused on educating your customers and helping them solve problems, it’s better to use Facebook Groups than start a new Facebook Page from scratch. Since the new Facebook algorithm favors posts that generate engagement, it’s important that you post your content pieces at the right times. Find out the best times to post content on Facebook and then use the information to create a content calendar. Although the best times to post may vary from one type of audience to another, having a general idea of when users are most active can increase the chances of your content getting more views. One of the reasons Facebook is a great marketing channel is because it has tools for zeroing in on your audience. If your audience is widespread, you should narrow it down by location or interest. On Facebook, you have the option of setting these preferences and restrictions for each post. Although this may initially cause your reach to drop, it can make your content more relevant to specific followers and lead to increased engagement. It’s especially beneficial to narrow your audience if you’re a local company that only serves a certain area or a national company that’s hosting an event at a specific location. For instance, if your company or event is in Miami, it’s pointless to reach out to people in other parts of the country. Similar to other businesses and marketers, you may not be pleased with the Facebook’s recent algorithm update. However, since the popular social media network is such a powerful marketing tool, you should continue to promote your business there despite having to make some changes to your content marketing strategy. By following the tips above, you can increase your organic reach and gain quality leads without losing favor with the algorithm. It’s not about outsmarting the Facebook algorithm but rather successfully evolving with the ever-changing system.